In July I have read an interesting article on Hodinkee about a rare Rolex – Cellini Rolex Prince: The Rolex Nobody Knows (But You Should). I was intrigued! I am not a Rolex fan in particular but that image with a quadratic watch on a bottle of Veuve Clicquot Brut made me read carefully the article. 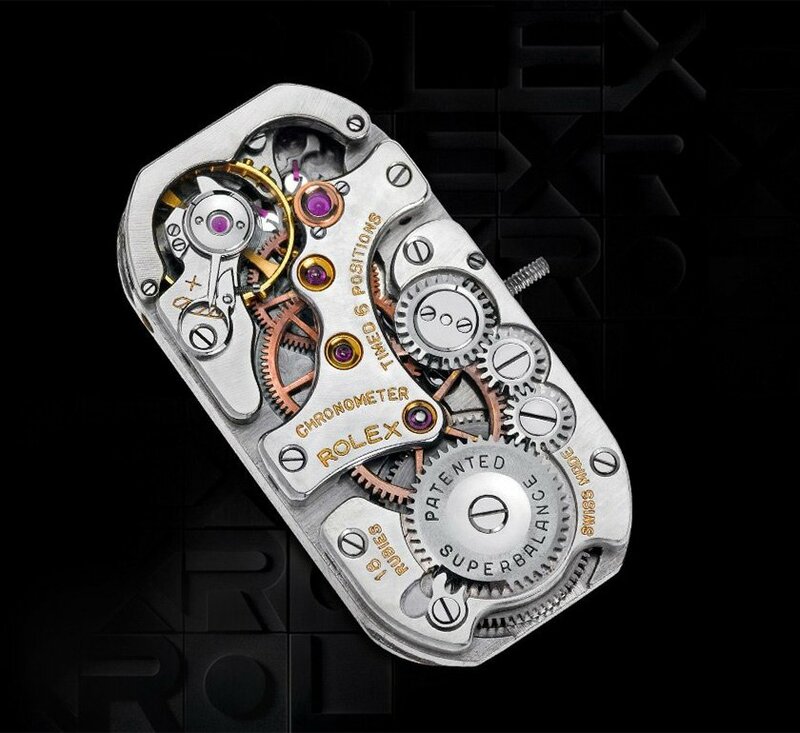 I knew about the Prince, but I was a little surprised to find out that is not so known, especially to the Rolex fans. The Prince was a real success, revealed in 1928, it offers great performance and, for that era, an interesting new design. Unfortunately, they discontinued this model at the end of the 1940’s after a great success. 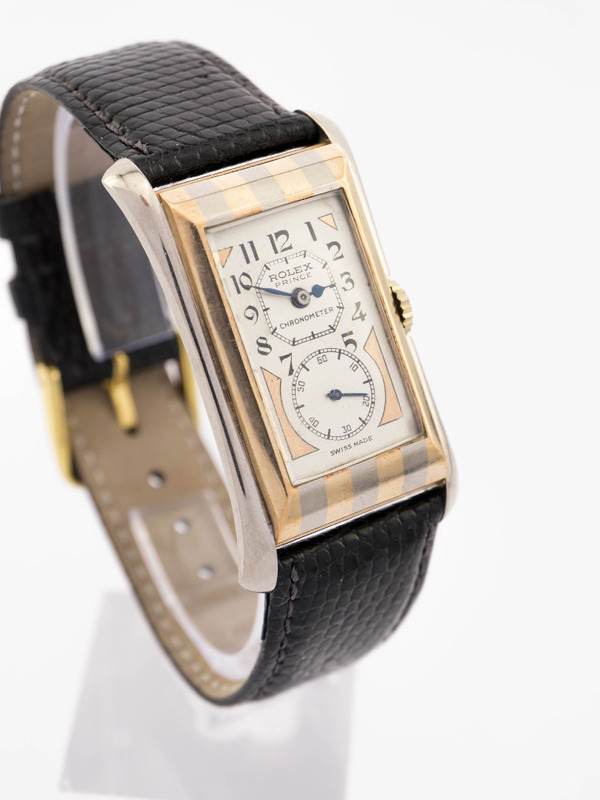 It was one of the first large produced watches with chronometer certification and his beautiful dial and shape made it an elegant presence at the wrist of a gentleman. 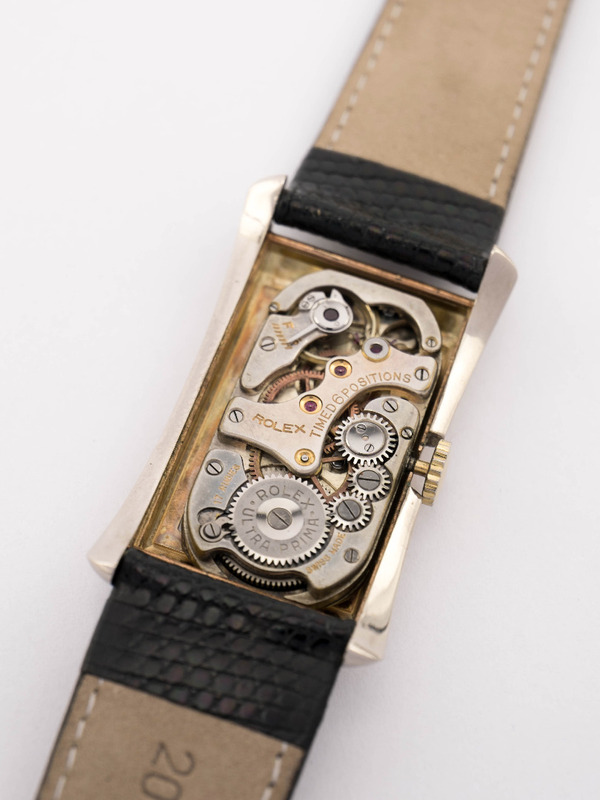 After reading the article, I put a note to myself to keep track of this interesting watch. Last week, I was happy to find that there are available not one, but two models of Prince on the market, here in Germany, on Watch-Time.de. 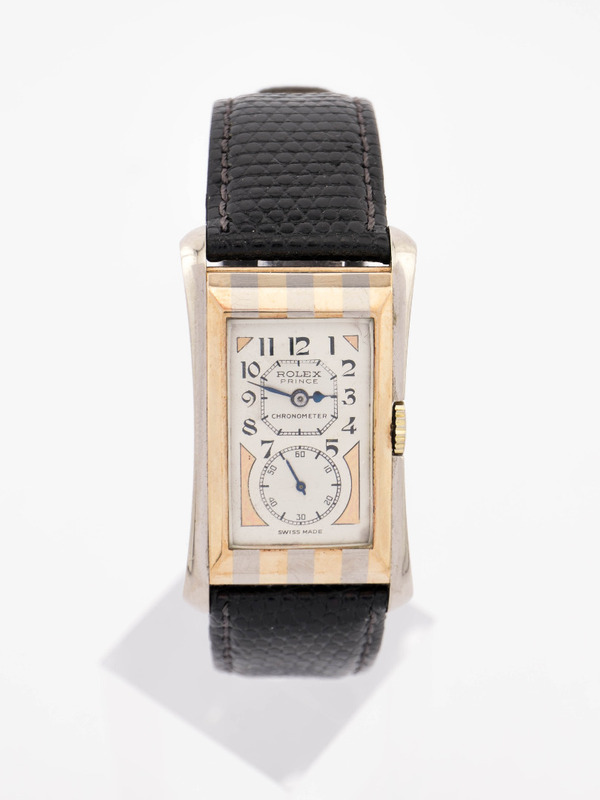 The first one, and the most interesting is a Zebra model from the 1930’s with a two-toned gold striped case. The case is an absolutely amazing combination of 9 carats white and red gold and with the two-toned dial makes a great impression and catches the eye real fast. 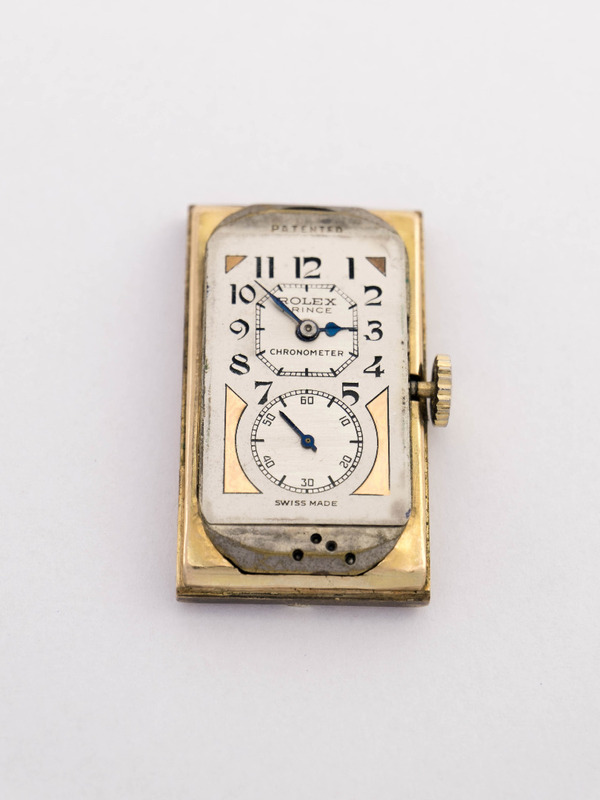 The dial features a sub-dial for the seconds and was named the ‘doctor’s dial’ while this watch was widespread between doctors which used it as a pulse monitoring device. 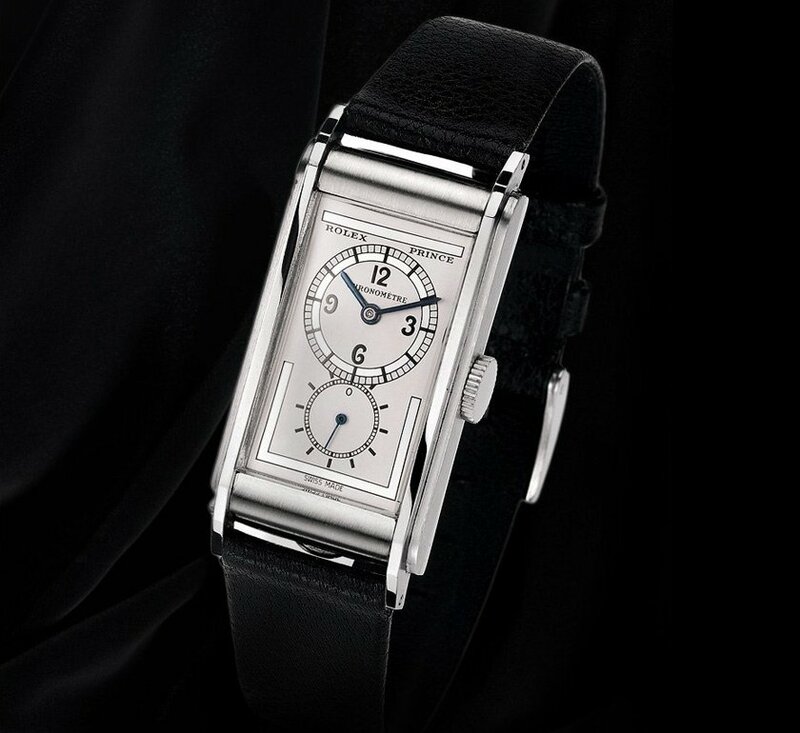 The blue hands and the beautiful Arabic numerals make this dial special. I can understand why it was such a success. 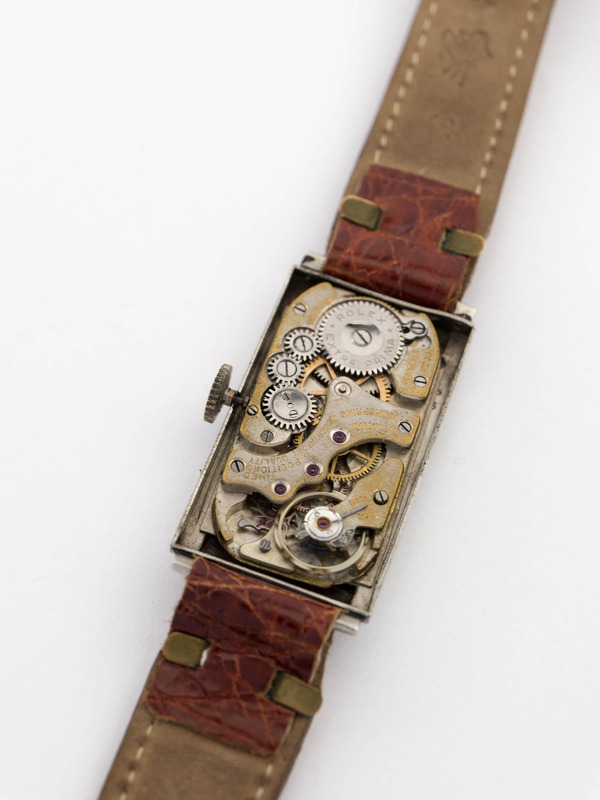 The calibre is in an excellent state and reveals the beautiful hand-craftsmanship from the 30’s. 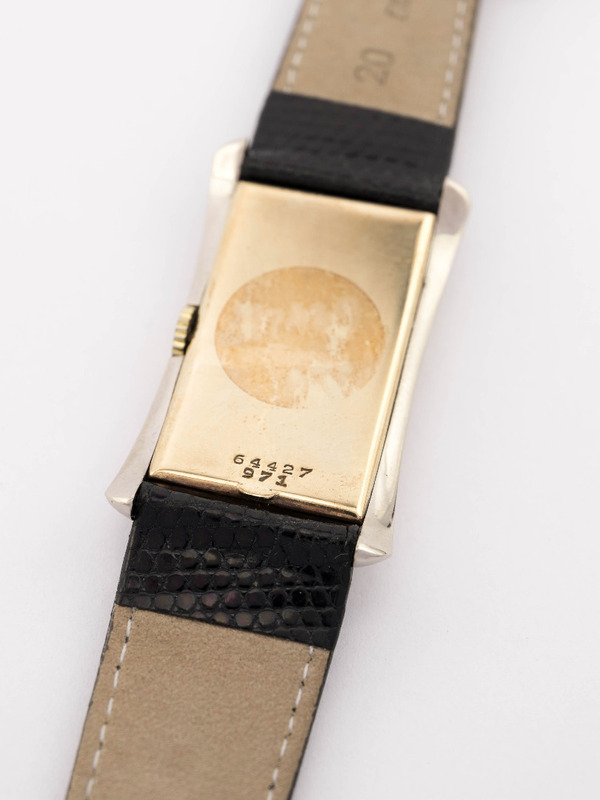 The back case is also 375 Gold and wears the model number, famous 971 (with an incredible power reserve of around 50 hours) and the serial number. 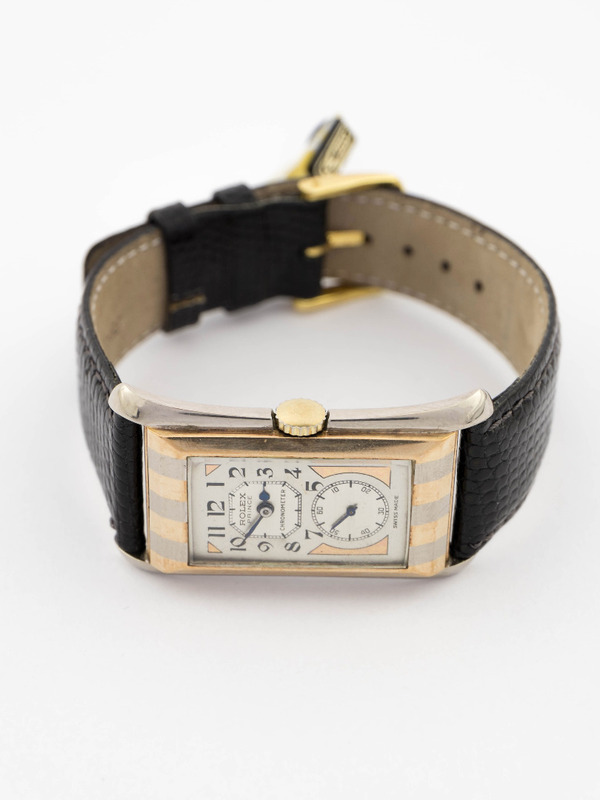 This fantastic timepiece is available for sale at watch-time.de and it is estimated at 18000 euro. They also have on the website another beautiful Prince in steel. 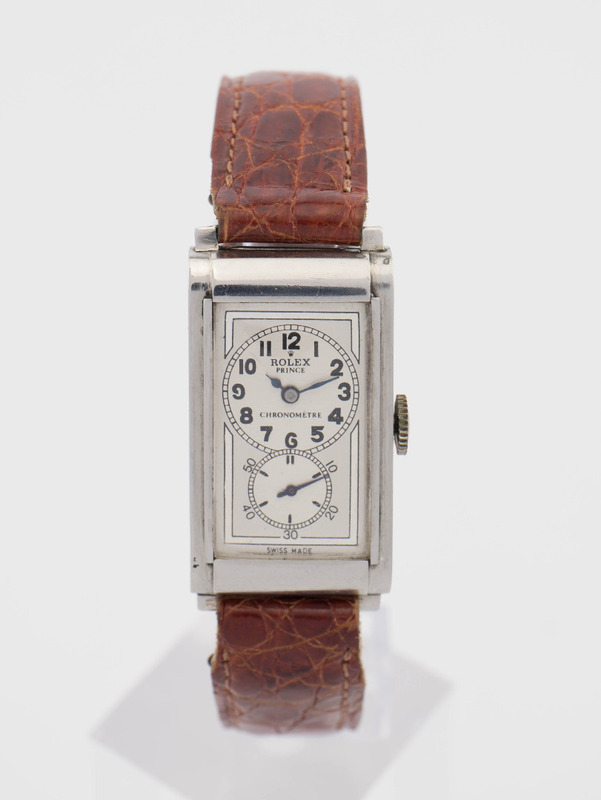 The dial of this Prince is different from the Zebra but is closer to the “original” design with the Arabic numbers inside of the hours/minutes dial. The blue hands make a good contrast on the well-maintained dial. 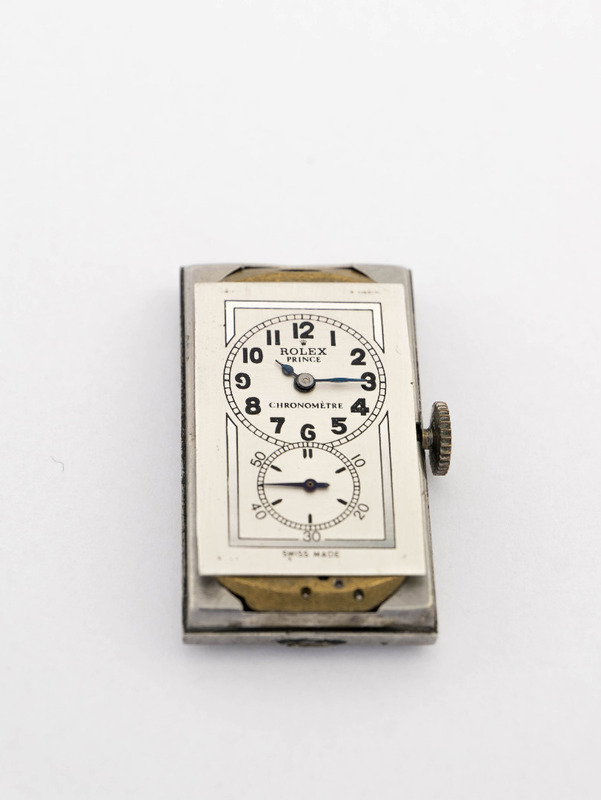 This movement is in a good condition but slightly different from the 1928 version (lack of the upper bridge) and also came with a chronometer certification. The engraving from the back places this model as one from the end of the 1930’s. 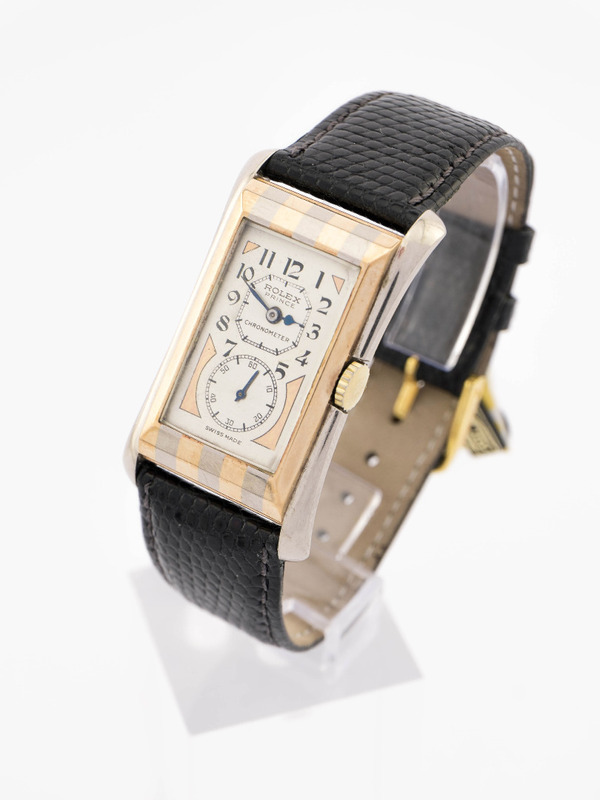 The estimated price for this one is 12000 euro and it is available at watch-time.de. For more information please use their contact web-page available here. 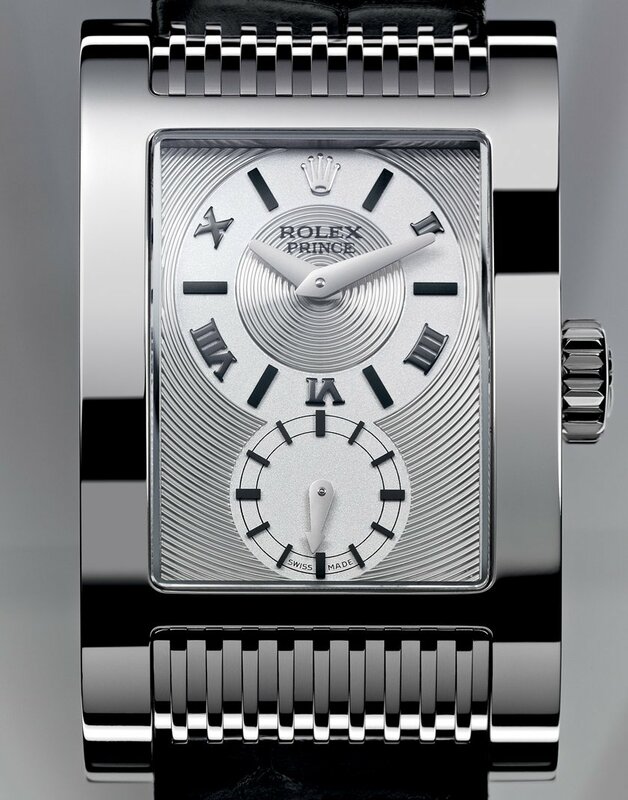 Rolex revived Prince with this model Cellini Rolex Prince and I hope it will have the same success as the first models. I would like to thank Watch-Time for the images with the 1930’s Prince. I am not affiliated in any way with watch-time.de. 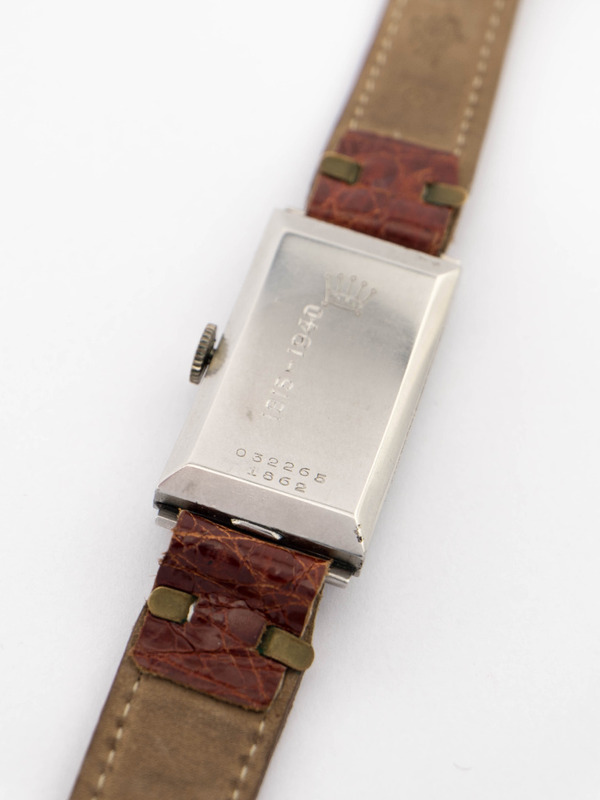 I would also like to thank Hodinkee for info and Rolex for the images with the old and the new Prince.